This collection of timely chapters presents a nuanced study of environmental toxins and the risks they pose to children's development. 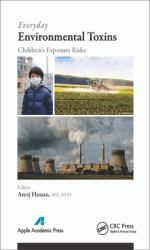 The book details the impact of a number of commonplace environmental toxins, focusing on everyday exposure to tobacco smoke, lead, pesticides, and flame retardants. There is growing recognition that the impact of the environment on children's health is of critical importance for both current and future generations. In the last half-century, thousands of chemicals have been introduced into the environment with limited-although growing-research on the consequences of exposure. It has been proven that children and adolescents are far more vulnerable than adults to these environmental toxins by virtue of children's behaviors, higher metabolic rate, greater skin area relative to their volume, and still developing organ systems. Increased number of ear infections, poor asthma control, and learning disabilities are just some of the adverse outcomes that have been noted.This well-researched book: Presents detailed information on why children are more vulnerable to everyday toxins Discusses why new approaches to medical care are necessary that take into account children's unique physiology and development Offers well-defined research on tobacco smoking on prenatal development as well as children's exposure to tobacco smoke during their early years, particularly the evidence of asthma and asthma-like symptoms Examines the possible health effects of children born to mothers living in areas of natural gas development Looks at the health effects of childhood exposure to environmental lead, using GIS technology to study areas of potentially high lead concentrations Discusses the possible effects of agricultural pesticides on children's health during gestation Presents studies on prenatal and adolescent exposure to PBDEs used as flame retardants in many household and commercial products to prevent fireThis valuable book, edited by a pediatric clinician at Boston's Children's Hospital, provides a wealth of information on this important issue. The book concludes with an article by the World Health Organization, which offers a practical and comprehensive summary of a series of action steps. The book aims to create greater awareness to spur additional research, provide vital information to clinicians, and send a powerful message to government officials, putting pressure on them to develop policies that improve the quality of the environment and spare children the detrimental effects of such exposures.